How many spokes of the Wellness Wheel have you considered? WELLNESS is muti-faceted. Each facet plays a role in maintaining WELLNESS to its fullest extent. 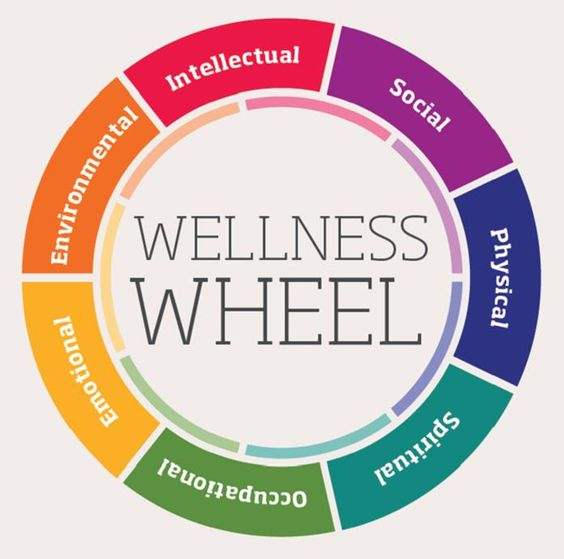 Much like the spokes on a wheel, where each spoke plays a role in supporting the structure and in maintaining the integrity of the wheel, each facet in WELLNESS plays a role in supporting the overall well being and functioning of a human being. How many spokes of this WELLNESS WHEEL have you considered when evaluating your child’s WELLNESS? Are all spokes of your child’s WELLNESS being addressed? Do any stand out as needing attention? Do you feel comfortable and/or equipped to address all spokes? No need to fret…we all have different skill sets and abilities. It is perfectly normal to be GREAT at some tasks and deficient at others. Fortunately, ABC Pediatrics is fully equipped to assist you and your child. At ABC Pediatrics, we utilize an Integrated Physical and Mental Health Care Model to ensure WELLNESS in all aspects/spokes of your child’s life. Our Integrated Healthcare Team has over 200 years of combined medical and mental health care experience to address your child’s needs. Additionally, ABC Pediatrics offers an on-site lab, in-house allergy and asthma services and dedicated Mental Health Team. So, if you are concerned that you may be coming up a bit short when it comes to addressing all of the spokes on your child’s WELLNESS WHEEL, call our office (910.892.1333) to schedule an appointment for your child. That call may very well get your child’s WELLNESS WHEEL rolling on the path to “Building a Brighter Future through Better Health”. ← Set Goals not Resolutions in 2019!